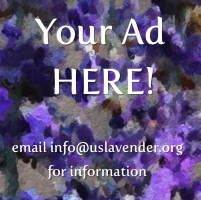 Join us for our first Lavender Weekend. Join us for a full weekend of everything Lavender, with tours, classes and of course Lavender Lemonade. Concessions are available: Food trucks will be on hand and picnic lunches are available with pre-registration. Email [email protected]. No charge for admission, with optional classes and demos all afternoon, learn how to choose the variety of Lavender for your needs, how to plant, grow, harvest and even cook with this amazing herb. A wide variety of plants will be available for sale. We will start with a tour in the morning, followed by an afternoon filled with mini classes including lavender wreath making, lavender wands, bath salts and fill your own sachet. Learn how we make our Lavender Essential oil as we have a distilling demonstration on Sunday afternoon. Come cut your own bunch of Lavender to enjoy at home.